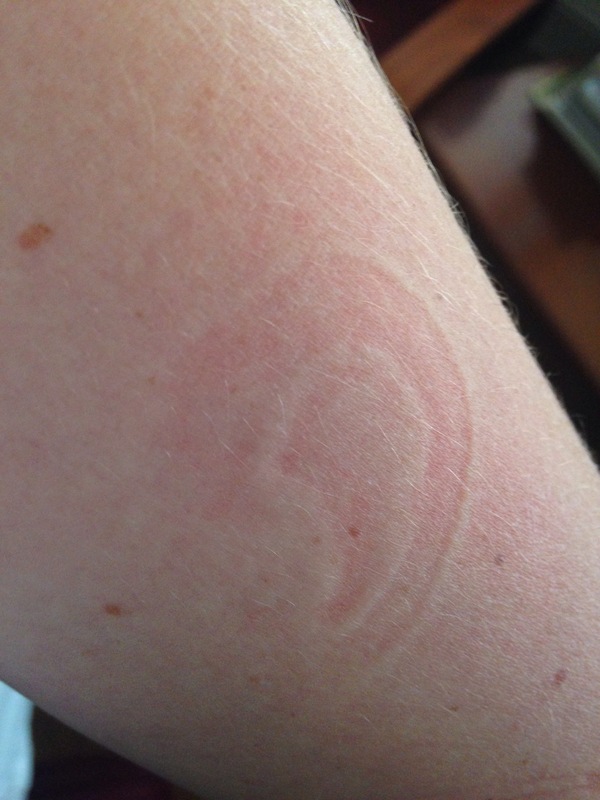 One of the most beautiful things I’ve encountered becoming a mum is the little ear imprint that my beautiful baby leaves on my arm when she falls asleep on me. I don’t think I’m alone when I say that (non-sexual) physical contact has dwindled with age. From being a baby when you’re as good as physically attached to your parents (literally attached to your mother in the womb), to a cuddly infant, to a teenager looking for a different type of physical contact, to a young adult with virtually no physical contact, to a parent re-learning the wonder of physical contact… And it is wonderful, and it is precious, and it is a basic human need (possibly a basic need full stop – Coatimundi demands attention), that is so frequently neglected. As I feed my baby, her skin against mine, she relaxes and my heart swells as I cradle her and her body grows heavy and limp as she falls asleep on me and I feel mutual trust, love and understanding right there. When I pick my baby up and her face fills with glee as I pull her close to kiss her, when she wakes up alone and is upset until I pick her up and hold her close to me where she feels safe and secure I’m reminded of the physical foundations of love and trust. Touch / contact is so very important. As well as leaving an imprint on my arm, that little ear leaves an imprint on my heart too, an imprint that deepens with every sleepy cuddle. I’m not suggesting that we all become physical pests, but that we remember that there are probably more times and places to hold a hand, to put your arm round someone, to squeeze a knee, to stroke hair, to invite a loved one to rest their head on your lap, or to give a kiss than you think, and doing so will undoubtedly strengthen those foundations.